Unknown Gunmen Kidnap Kandahar University Faculty in Ghazni | . :: Elections 2014 ::. Unknown gunmen kidnapped 33 Kandahar University faculties and injured one other in southern Ghazni province on Tuesday, Kandahar Governor Spokesman, Dawa Khan Menapal, said. The incident took place in Noh Baba area of Ghazni when unidentified gunmen attacked the faculty vehicle, injuring one and kidnapping 32 others, said Menapal. "The teachers were traveling to Kabul city from Kandahar to go to their homes after the government announced a six day holiday," he said. The injured professor was taken to a hospital for treatment, Menapal added. On Monday the government announced a six day holiday for universities and schools in the country ahead of the June 14 elections. The Taliban have not claimed responsibility for the kidnapping. 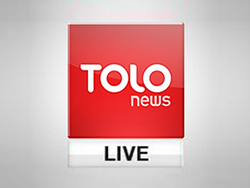 Taliban Spokesman, Qari Yousuf, told a TOLOnews reporter that he is unaware of the kidnapping and will investigate the incident.